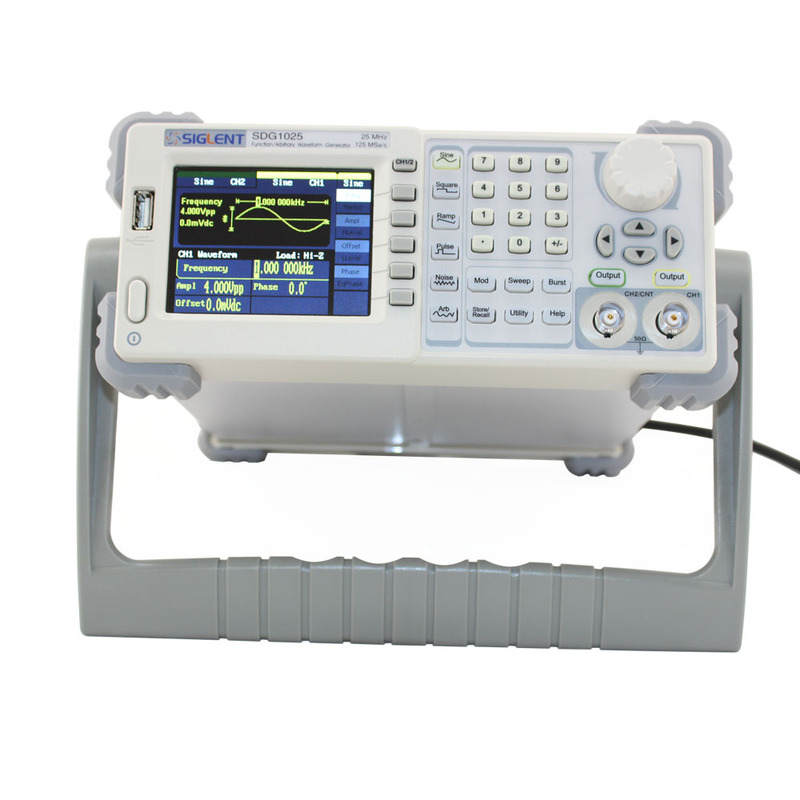 The SDG1025 Function/Arbitrary Waveform Generator represents a new level of price performance value from SIGLENT. The ergonomic design features a 3.5 inch TFT-LCD display; Online help feature; Support for USB and internal storage to accomodate file management; . The SIGLENT SDG1025 implements a DDS ( Direct Digital Synthesizer) design which provides several technical advantages over older analog Function/Waveform generators including enhanced frequency agility, better phase noise and more precision to control the output phase across frequency switching transitions. 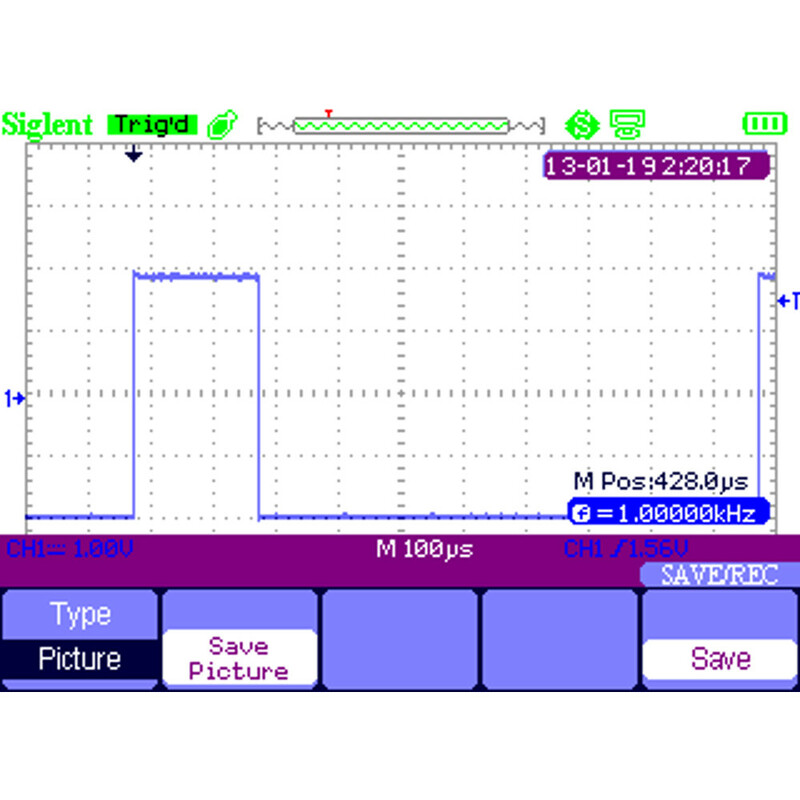 The SIGLENT SDG1025 generates 14-bit 16kpts arbitrary waveforms, Arbitrary editing software (EasyWave) provides 9 standard waveforms: Square, Sine, Pulse, Ramp, Exponential Fall, Exponential lRise, Sinc, Noise and DC, which meets’ basic needs of all engineers; It is easy to develop your own waveforms using EasyWave drawing software with your computer mouse. Supports point-to-point line segment drawing and arbitrary point drawing.making it easy to create complex waveforms. Multi-file screen management helps the engineer edit multiple-waveforms at the same time. It provides ten (10) Storage locations in non-volatile RAM. You can edit and store more waveforms on your PC by using the EasyWave sofware. DDS technology, dual-channel output. 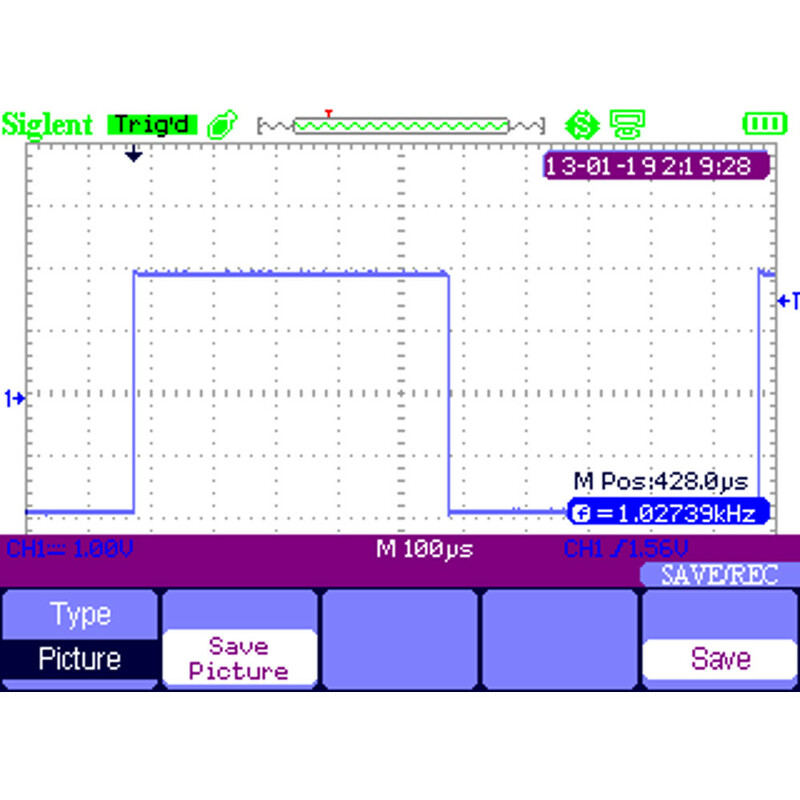 Outputs are totally independent with adjustable phase shift. 125MSa/s sample rate, 14bit vertical resolution. 5 types of standard output waveforms, built-in 48 arbitrary waveforms. Complete set of modulation functions: AM, FM, PM, FSK, ASK, PWM, linear/logarithmic sweep, burst. 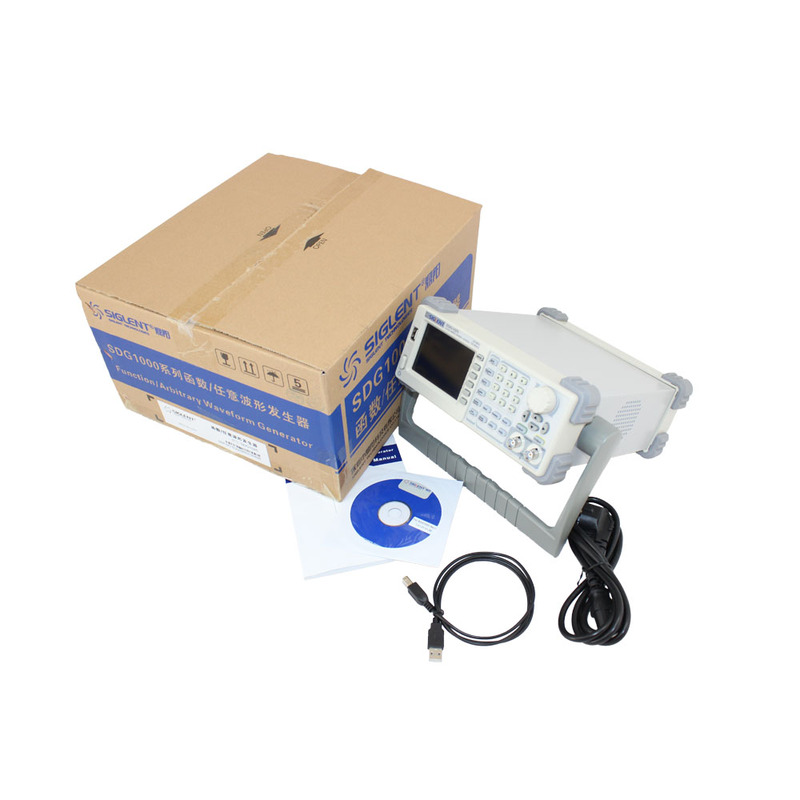 Abundant input/output: waveform output,  Synchronous signal output, External modulation source input, 10MHz clock input, external trigger input, internal trigger output etc. 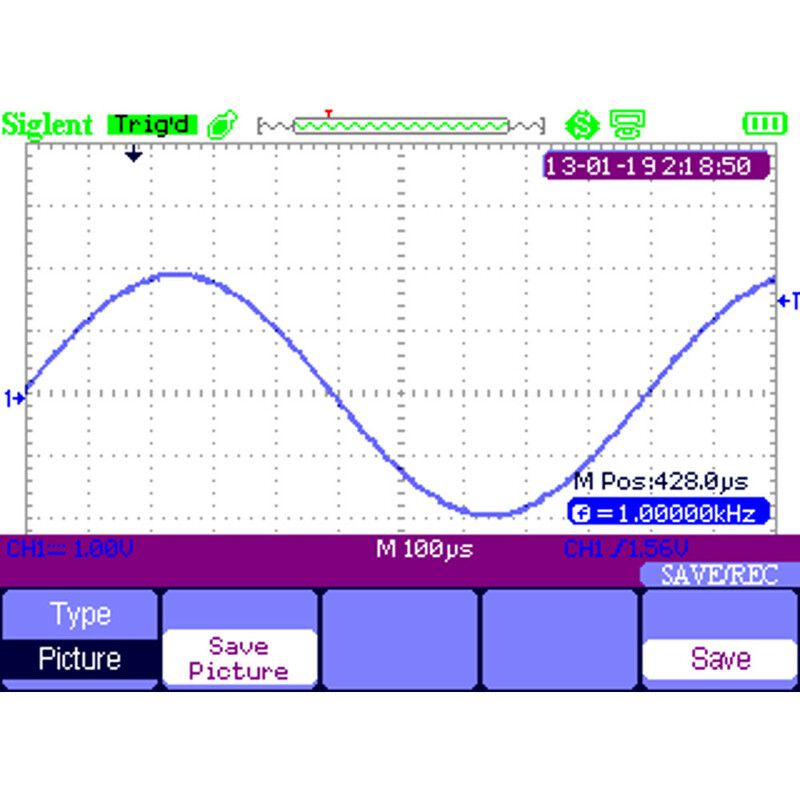 Built-in 48 arbitrary waveforms, including math, engineering and other commonly-used waveforms. Complete set of modulation functions, sweep output, burst output. 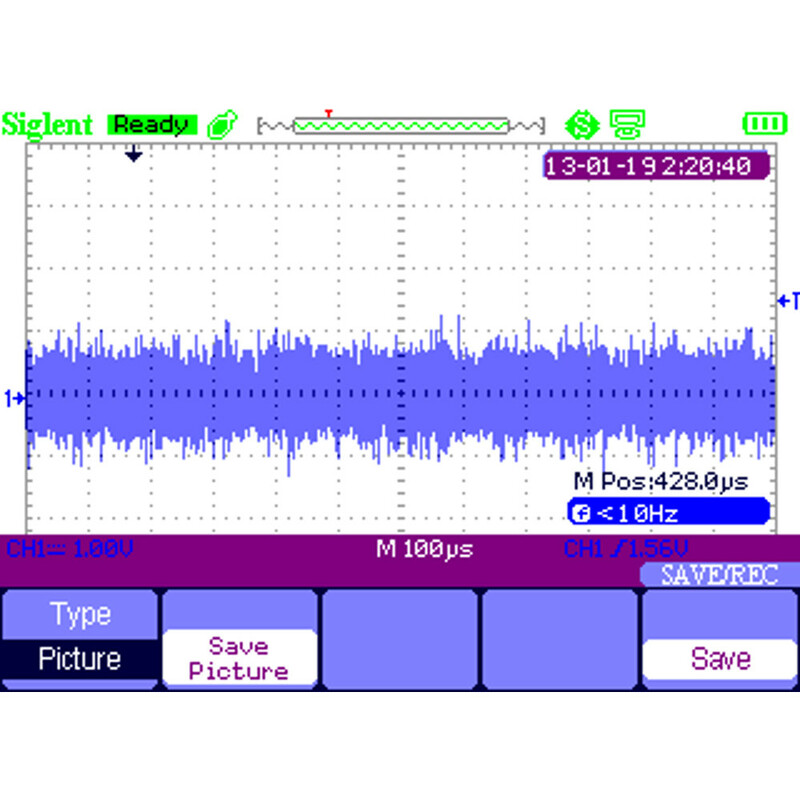 Sweep output: varies output frequency from start frequency to stop. Sweep time range: 1ms~500s. 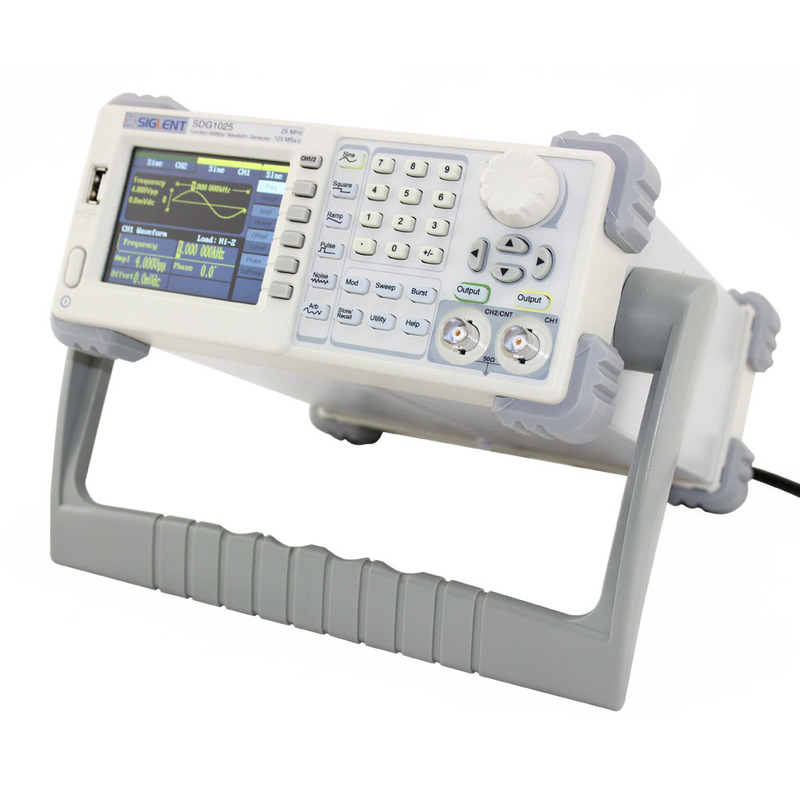 The carrier can be Sine, Square, Triangle and Arbitrary waveforms. Burst output: It can periodically generate pulse sequences. 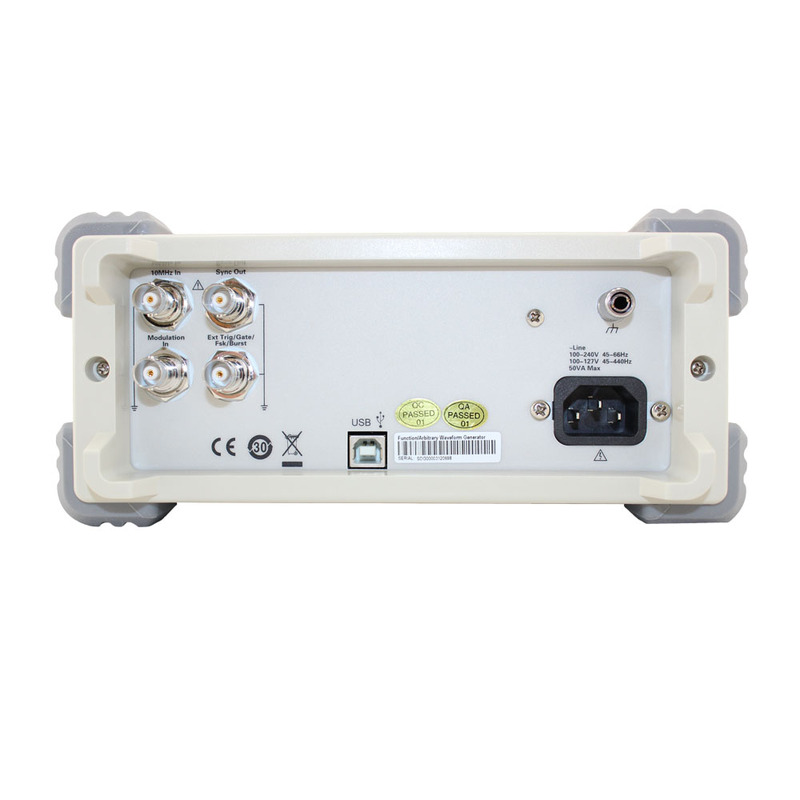 Internal counter and external control signal are available to control burst output. 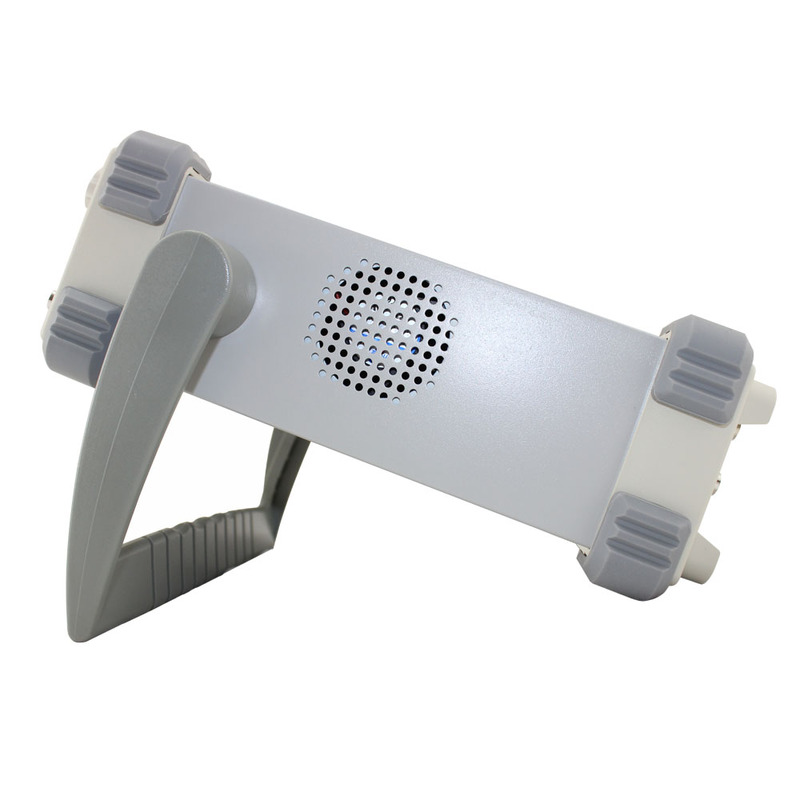 Channel coupling: after setting the primary channel and coupling frequency/phase differences, the frequency/phase of the second channel will change in relation to the primary channel, maintaining the frequency /phase difference . Channel duplicating: allows user to duplicate parameters from one channel to the other. Wide frequency range: 0.1Hz~200MHz. 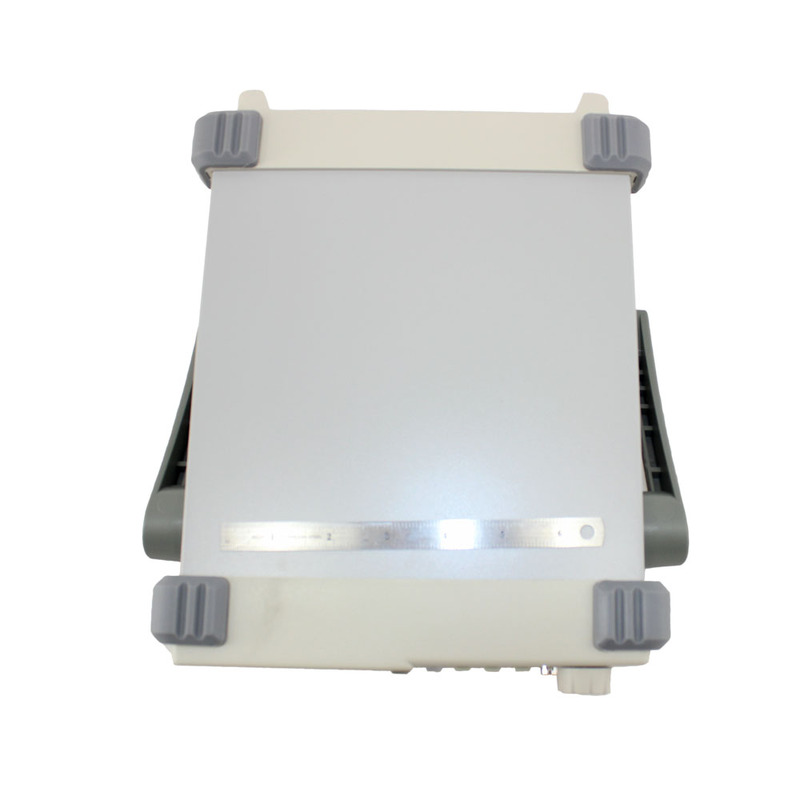 Measurable parameters: frequency, period, duty-cycle, positive pulse width, negative pulse width Ssetting: Adjustable parameters include DC/AC coupling, trigger level and high frequency rejection. Note: The external input voltage can’t be over ±6V, otherwise instrument gets damaged.